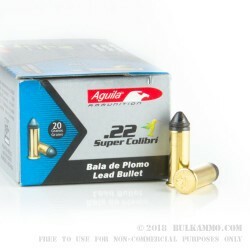 This 22 LR cartridge from Aguila’s Colibri line of ammunition is appropriately named after the Spanish word for hummingbird. Because it has no powder and is solely powered by its rimfire primer, it’s exceedingly quiet and a great way to introduce new shooters to the sport with hardly any recoil or report to speak of. Of course, this round’s dainty performance comes with a few caveats. 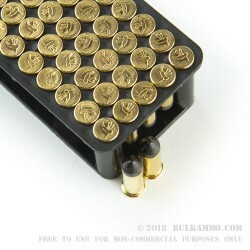 The round’s exceptionally low 500 fps muzzle velocity means that it will likely not make it out of a rifle’s barrel -- you must only fire it from a pistol. On that note, this low-powered round hasn’t got the oomph to cycle the slide of a semi-automatic weapon. 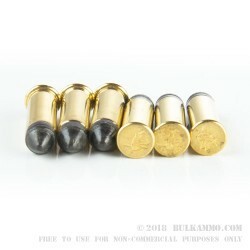 For that reason, a revolver is poised to give you the most satisfying performance when loaded with these rounds. 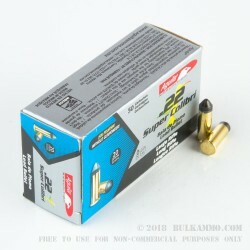 Also please take note that this cartridge is noticeably shorter than your standard 22 LR -- don’t think that we accidentally “shorted” you when it arrives!